“I’m weeding and harvesting and enjoying every minute of it,” says resident Sue Espenshade, who begins most of her days nurturing the flora she’s planted in her part of the community’s garden. Pennswood has devoted about an acre of land on its beautiful campus to the garden. That acre has been subdivided into several 20-foot by 20-foot plots with 6-inch raised wooden borders. At the beginning of the season in March, residents sign up for a plot (or whatever portion of a plot they wish to have). The garden has plenty of plots available; a few residents work on multiple plots, while staff members tend unclaimed plots. 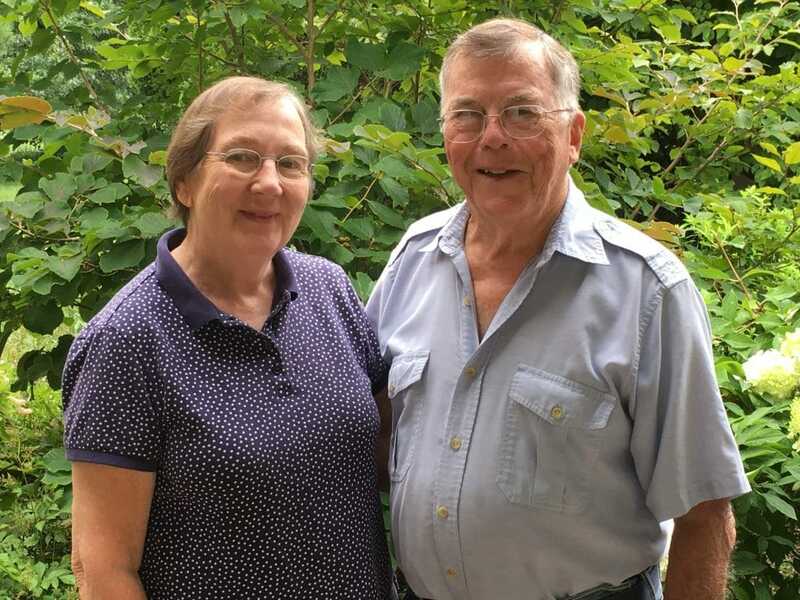 Sue’s husband, Jack, heads the Community Garden Committee, a group of 10 residents who oversee the bountiful community garden for the dozens of residents who take advantage of it. “Plot holders can grow whatever they wish,” he explains. “There are annual and perennial flowers, vegetables of all sorts, raspberries, blackberries, blueberries, a peach tree and a fig tree. The committee meets monthly during the March-to-October growing season. Just before the season begins, the committee holds a public meeting to assign plots for the coming year. Gardeners enjoy many benefits from the “meadow garden” (as some refer to the community garden): the outdoor exercise; the tranquility of being surrounded by natural beauty; and the satisfaction of enjoying the ‘fruits of their labor,’ whether it’s the aesthetic pleasure of a gorgeous flower or the tastiness of a freshly picked berry. The gardeners are more than happy to share these pleasures with the rest of the community. Many of the fresh vegetables are sent to the community kitchen, while the flowers often “end up in the hallways around the apartments,” Jack says, referring to the blooms in many pots and vases perched on the shelves just outside residents’ doors. Residents are encouraged to garden organically, although they aren’t required to do so. If gardening at Pennswood Village is something you think you’d enjoy as part of an inspired senior lifestyle, we invite you for a tour of our campus! See the garden, meet current residents and get answers to all the questions you may have about active senior living in a Continuing Care Retirement Community. Schedule your tour today! Stay tuned for more stories about how the garden at Pennswood Village helps cultivate inspired living, both on and off our campus!